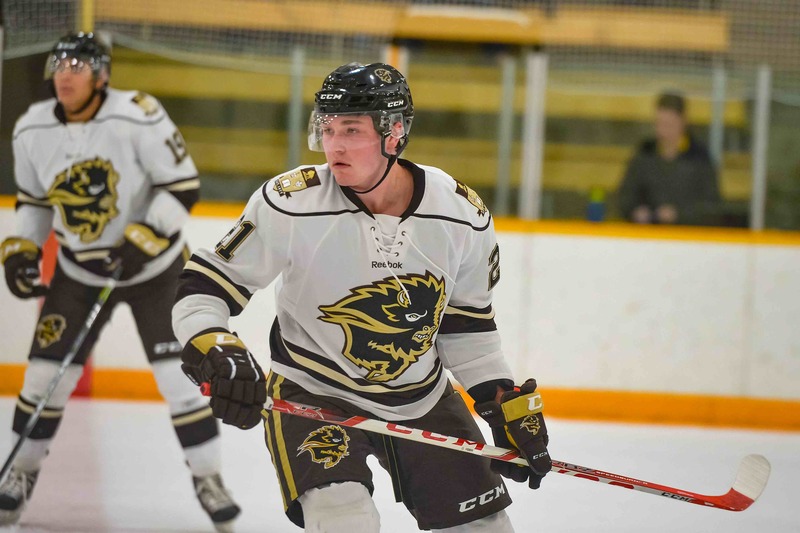 The University of Manitoba Bisons men’s hockey team were in action against the Calgary Dinos on Friday at Wayne Fleming Arena in a pivotal game in the Canada West conference. The Bisons earned a critical two points with a 6-4 victory. The game did not start well for Manitoba, as just 58 seconds into the contest Dino defenseman Alex Dzielski took a shot from the point that floated over the shoulder of Manitoba netminder Byron Spriggs. Shortly thereafter, Spriggs made a massive paddle save on the goal line to keep the score at 1-0. Spriggs was tested early and often in the opening minutes of the game. Manitoba would tie things up when Jordan DePape came blistering in on a breakaway and went forehand-backhand, stuffing the puck home on Calgary goalie Steven Stanford. The Bisons would gain the lead through Jonah Wasylak at the midway mark after taking advantage of a Dino mistake in their own end. Fifty-one seconds into the second frame, Manitoba would add to their lead. A pinching Rene Hunter let off a shot from a sharp angle that deflected into the back of net. Jordyn Boyd’s first ever Bison goal would give the Bisons a 4-1 after a great effort from Wasylak to get him the puck. The Boyd goal prompted a timeout by the Dinos, which seemed to work as Calgary would cut into the Bisons lead soon after, via the stick of Cain Franson. 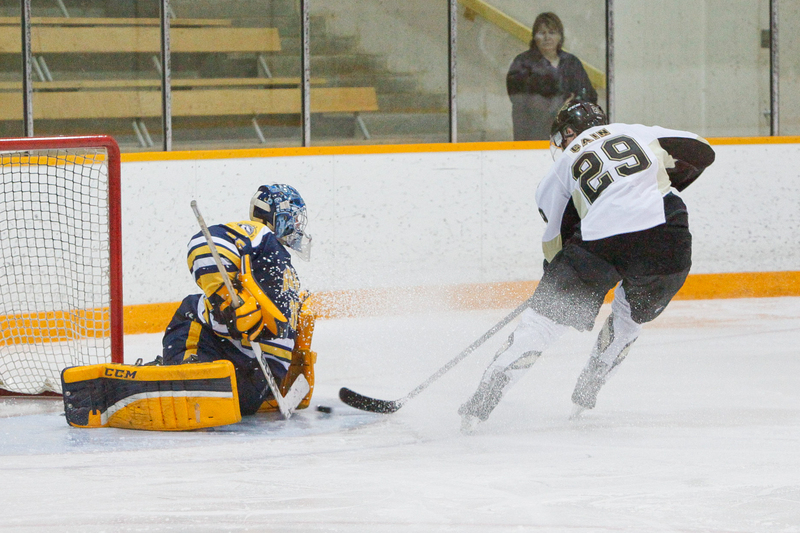 Manitoba would restore their three goal lead minutes later after rookie Liam Bilton wristed home a shot top shelf. Calgary would storm back and score two goals a mere 38 seconds apart to end the period but weren’t able to get the equalizer. An uneventful third period saw DePape score his second on the night on an empty net to seal the deal for the herd.